Most Star Wars fans likely took a similar approach with regard to the period between when Star Wars: The Force Awakens premiered and whenever they finally get to see it. That is to say, they were hoping for absolutely no spoilers, of course -- while at the same time, also hoping for certain assurances that the new movie is good. Fans can comfort themselves with both the former -- plot spoilers, somehow, have barely leaked throughout the past year -- and the latter -- early reviews of the movie have been nearly unanimously positive. 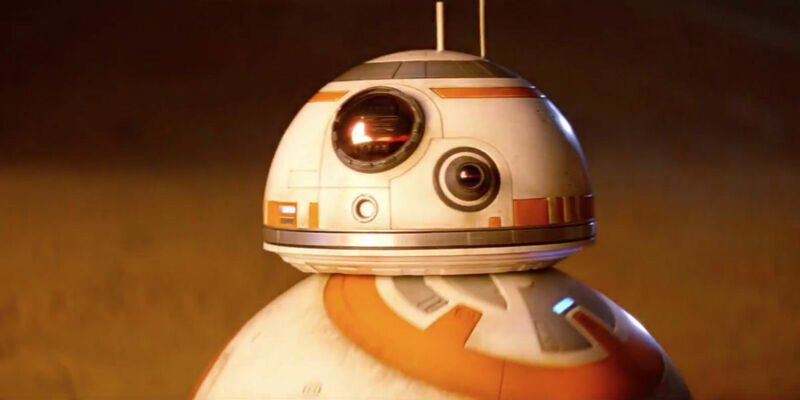 But during this strange Force Awakens limbo week, one nugget of information that's not quite a spoiler did manage to break through: The identity of the actor voicing the robot character BB-8. Drew McWeeney of Hitfix broke the story, apparently because he was the only person at the premiere Monday who noticed the name next to "BB-8 Vocal Consultant" in the closing credits. Much to his surprise, the sounds emanating from the film's newest star are from none other than actor and comedian Bill Hader. "JJ f**king around with this sound effects app on his iPad that was attached to a talk box operated by me. It looked ridiculous but it made BB-8's voice. At first I tried doing a voice, but we all agreed it sounded too human." 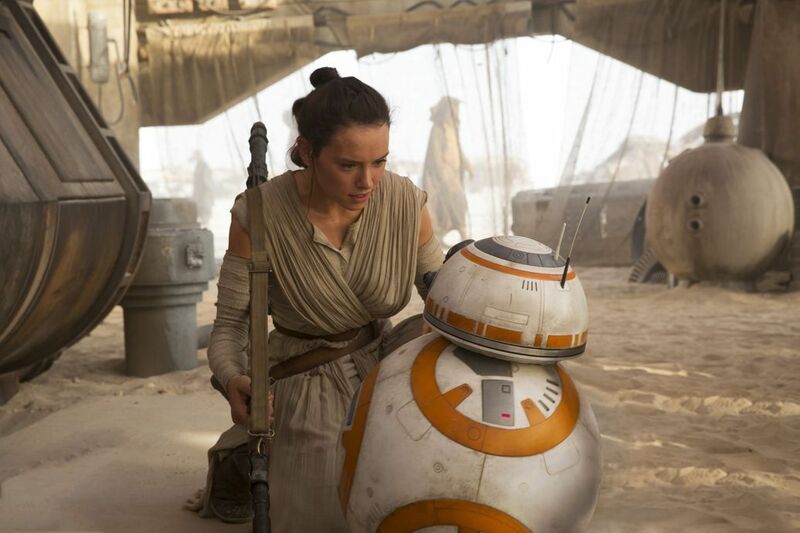 It is interesting to think that BB-8's sound went through an iteration wherein the little robot sounded less like, well... a robot. It's also interesting to find out that former Parks & Recreation guest star, Ben Schwartz (a.k.a. Jean-Ralphio) was also credited as a "Vocal Consultant." In a sense, it's similar to what Abrams said about knowing which design would be Kylo Ren's mask when he saw it, and the fact that Captain Phasma's chrome stormtrooper armor was once intended for the red lightsaber-wielding antagonist. In other words, there's a tremendous amount of trial and error going on with an undertaking this large. And it speaks to Abrams' ability to shepherd a project of this magnitude that he seems to have made the right choices when they count. As far as Hader goes, he's had an interesting post-SNL career, to be sure. Many Saturday Night Live stars primarily associated with impressions have gone on to less-than-stellar projects, but that hasn’t been a problem for Hader. He showed his dramatic skills in 2014’s The Skeleton Twins, was a believable leading man in this summer’s Trainwreck, and has been a key contributor to recent years of South Park, including the acclaimed season that recently wrapped. His work in comedy ensembles and in voicing animation (including Inside Out) has been first-rate, as well. Even if he doesn’t get to use his usual speaking voice, Hader seems like a natural addition to the Star Wars Universe.